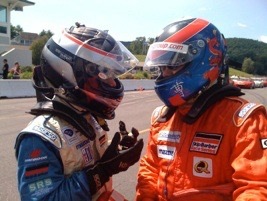 The 2009 racing season has been one of change and wonderful experiences. 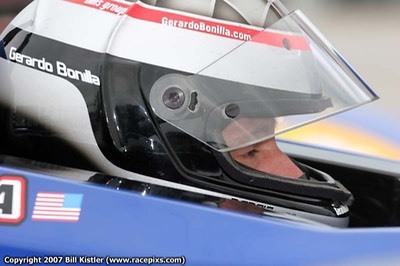 My only professional race of the season was January’s Rolex 24 at Daytona 24-hour race in the Grand-Am Rolex series. In this race I teamed with owners Joe and Jerome Jacalone, as well as pro drivers Randy Pobst and Shane Lewis. Together we piloted a Porsche 911 GT3 Cup car to 10th in GT class, and 18th overall, a fine effort by a small but hard working team. Many thanks to Joe and Jerome for hiring me for this race. Shortly after, I drove a vintage Lola T88 in a support race for the 12-Hours of Sebring. You could say it was a “hot” ride. Car owner Justin Ellis invited me to share his car in the enduro, but his drive time never came. Although the car qualified well, during the first lap of the race it erupted in flames, instantly filling the cockpit with a scorching fire I will never forget! Seven seconds later I was on the ground rolling to put the fire out. Poor Justin’s car was a hunk of burnt metal afterwards. 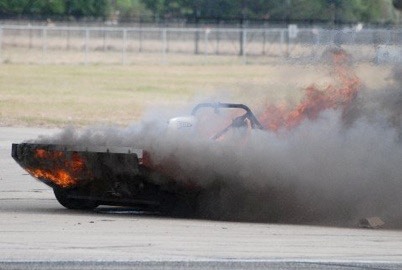 Wear your safety gear!!! It works! 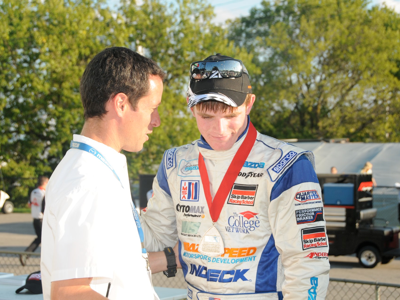 The rest of my year has been a full schedule of private coaching work and time with Skip Barber Racing School. 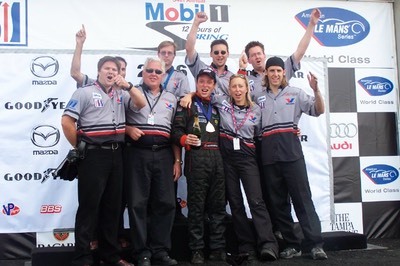 Private coaching drivers included five drivers in Andersen Racing’s Star Mazda team, including Conor Daly, Richard Kent, Denis Navarro, Mikael Grenier, and Joel Miller. 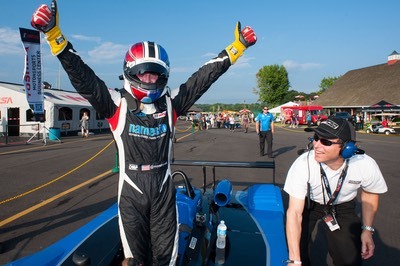 Other work included Andersen’s Indy Lights team for Mid-Ohio, Dan Weyland and Jon Brownson at the Sebring IMSA Lites race, Anthony Nicolosi at the Road America IMSA Lites race, and several Skip Barber National drivers at different points of the season including Sage Karam, Ashley Freiberg, and Kevin Tittle. 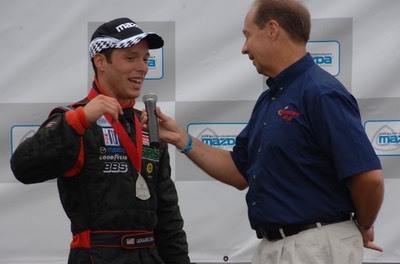 Kevin has also been my client for the entire Skip Barber Regional season. Other Regional drivers I’ve helped this season include Chris Brassard, Ethan Stone, David Libby, and many other great people in Skip Barber. It’s hard to say exactly what 2010 will bring. I have several offers for coaching in a few different series. Of course, driving comes first, and those efforts have been under way all season. I’m considering opportunities in Grand-Am as well as American LeMans Series. Each series has its strengths and great people I look forward to working with. Stay tuned.